If you’re into contemporary music check out Birmingham Contemporary Music Group @ CBSO Centre, Berkeley St., Birmingham on Sunday, 8pm. Premieres of pieces by Mark Anthony Turnage and Charlotte Bray. 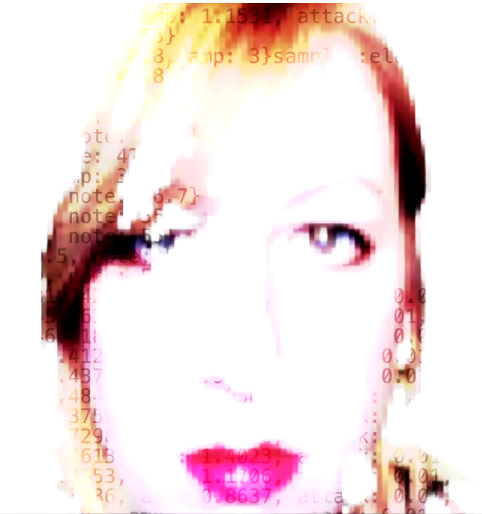 Shelly Knotts produces live-coded and network music performances and projects which explore aspects of code, data and collaboration in improvisation. Based in Newcastle Upon Tyne, UK, she performs internationally, collaborating with computers and other humans. She studied for a PhD in Live Computer Music at Durham University with a focus on collaboration in Network Music. She is currently a Post-doctoral Researcher at Durham University working on AHRC project: Musically Intelligent Machines Interacting Creatively. As well as performing at numerous Algoraves and Live Coding events, current collaborative projects include algo-pop duo ALGOBABEZ (with Joanne Armitage), OFFAL (Orchestra For Females And Laptops), and live coding performance [Sisesta Pealkiri] with Alo Allik. In 2017 she was a winner of PRSF The Oram Awards for innovation in sound and music.